My name is Sharon Marchisello. I guess I’m considered a senior citizen, but sometimes it feels like I haven’t grown up yet. I was born in upstate New York but grew up in East Texas. Currently, I live in the Atlanta area. I was raised in a stable middle-class home with one younger brother. My parents valued education and also encouraged me to travel. I earned a Bachelor’s degree in French and English from the University of Houston. Later, I was fortunate enough to be awarded a Rotary scholarship to study in France for a year. I attended the Université François Rabelais in Tours, where I made some life-long friends. After I returned to the U.S., I moved to Los Angeles to pursue a Masters in Professional Writing at the University of Southern California. When I graduated, I got a job working for Western Airlines, where I met my future husband. We do a lot of traveling and have one pet cat. I have finished the third draft of my next novel, Secrets of the Galapagos. I write a personal finance blog, Countdown to Financial Fitness, and am in the process of updating my nonfiction personal finance book, Live Well, Grow Wealthy (formerly Live Cheaply, Be Happy, Grow Wealthy). I began telling bedtime stories to myself when I was a child, before I knew how to write them down. I always liked writing because it allowed me to create a world where I was in control, my heroine acted nobly, and bad things happened to bad people. I’ve always considered myself a writer. I had early encouragement from teachers, family, and friends. Going Home is not my first book, but it’s my first novel to get published. It was inspired by my mother’s battle with Alzheimer’s disease, which prompted me to wonder what it would be like to interview a witness or a suspect who couldn’t rely on her memory. Going Home was meant to be a working title, but neither I nor my beta readers ever came up with anything better. I always assumed my publisher would change the title, but he didn’t. I wish we had changed it, though, because after my novel was published, I did a search and found out there were lots of other books titled Going Home. To find my book in a Google or Amazon search by title, you have to include my name (Sharon Marchisello). I try to write concisely and eliminate as many unnecessary words as possible. I tend to over-edit as I write, so that habit slows me down. Lola Hanson, the protagonist’s mother, is based on my own mother, and a lot of her behaviors are taken from real life, either my mother’s own actions and conversations, or incidents reported to me by others dealing with memory-challenged relatives. Most of the other characters are imagined, or composites of people I’ve known over the years. Two Wells, where the story takes place, is a fictitious town patterned after the East Texas town where I grew up. I love to travel, and some of my ideas come from traveling. For example, my latest mystery (not yet published) was inspired by a cruise I took to the Galapagos Islands. 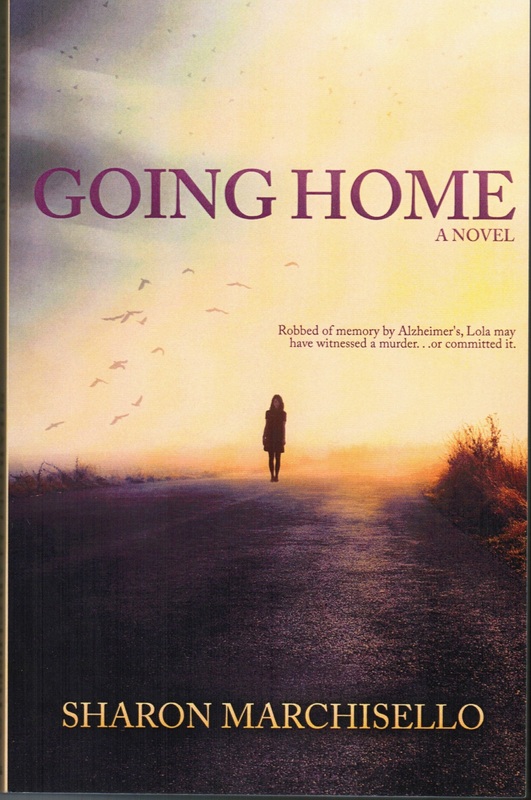 My publisher (Sunbury Press) assigned a cover designer for Going Home. One interesting fact: the colors she used are all the Alzheimer’s colors. Blue represents someone suffering from Alzheimer’s. Yellow stands for a caregiver. Purple represents people who have lost someone to Alzheimer’s. Orange is for supporters of finding a cure who have not been personally affected by the disease. After the book came out, I participated in my first Alzheimer’s Walk, where I found out about the colors. I emailed my cover designer to ask if she had used those colors on purpose, and she replied that she hadn’t; it was pure coincidence. The main goal was to write an entertaining story and a well-crafted mystery that readers would not figure out until the end. But I also wanted my readers to learn about the devastating effects of Alzheimer’s without my preaching to them or boring them with facts. I am a member of Sisters in Crime, and there are a lot of up-and-coming authors in our chapter, as well as in the organization as a whole. When I first joined, Kathy Trocheck (now a.k.a. 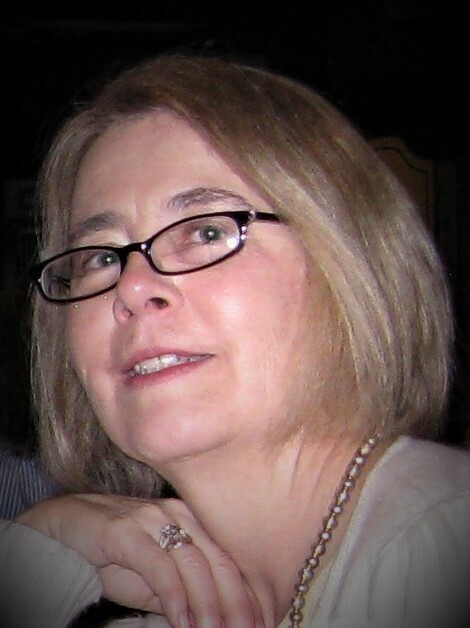 NYT bestselling author Mary Kay Andrews) was a fairly new author in our group. I can’t say I really have a favorite author, as there are so many I enjoy. As a slow reader, I am more of sampler, rather than someone who devours everything an author has written. Critique groups. When I was working on my Masters in Professional Writing at the University of Southern California, I belonged to an outside critique group, consisting of three men who told me what I needed to hear, not what I wanted to hear. While writing Going Home, I participated in the Peachtree City Writers Circle, founded by librarian Rebecca Watts, and she gave me invaluable line-editing assistance. Sisters in Crime is also a supportive organization for networking and finding beta readers in the mystery genre. Yes, but unfortunately, I don’t yet see it as a means of making a lot of money. I would change the title. I think Going Home to Murder might make it clearer that it is a murder mystery. I would also be a lot smarter with marketing, gathering reviews and blurbs before the book was released, as well as preparing better for my book’s launch. For the book I just finished, Secrets of the Galapagos, I had to do a lot of research on the area and its wildlife to ensure my descriptions were accurate. Even though I had visited the Galapagos Islands recently on a cruise, I had not paid enough attention to the lectures and did not retain all the information the guides gave us. I had a good time going back through my photos and maps and reliving the experience. I think Going Home would provide an excellent opportunity to showcase the acting skills of three strong women of different generations. I can see an actress like Meryl Streep taking on the role of Lola, the mother with Alzheimer’s. I’m not sure which 40-something actress would play Michelle (the protagonist), or which 20-something actress would play Isabella (the daughter-in-law); there are many actresses I can picture in those roles. Keep writing, but don’t quit your day job. Share your work with others and listen to all feedback, even if you don’t take every suggestion. Sometimes a suggestion or criticism will seem way off base, but it will lead you to the real problem. I hope you’ll read my book and write a review if you enjoy it. Authors thrive on reviews, especially good ones. I belong to a book club, so I alternate selections chosen by the club with books from my TBR pile. For my book club, I’m reading Unwritten, by Charles Martin. Next in my TBR pile are The Pocket Wife, by Susan Crawford, and Dark River Rising, by Roger Johns. Both authors are members of our Atlanta chapter of Sisters in Crime. My mother read The Wizard of Oz to me. Probably the first book I read on my own was one from the Bobbsey Twins series. I have a soft spot for animals. I’d like to meet James Patterson and convince him to partner with me on writing his next blockbuster mystery. Reading, traveling. Not exactly a hobby, but I do volunteer work for the Fayette Humane Society. Foods: shellfish such as shrimp, lobster, scallops. Also Mexican food. Colors: blue, aquamarine, lavender. Music: classic rock like the Beatles, Rolling Stones, Eagles, Bob Dylan, Steely Dan, Jackson Browne, Fleetwood Mac. Read, travel. Work with animals.